I spend a lot of time in the worship services at my church. You probably do as well. It’s not a chore for me, and I don’t want worship to become one. I want worship to be significant and meaningful. I want it to make a difference in my life, my family, and my community. I want times of worship to please and exalt God. 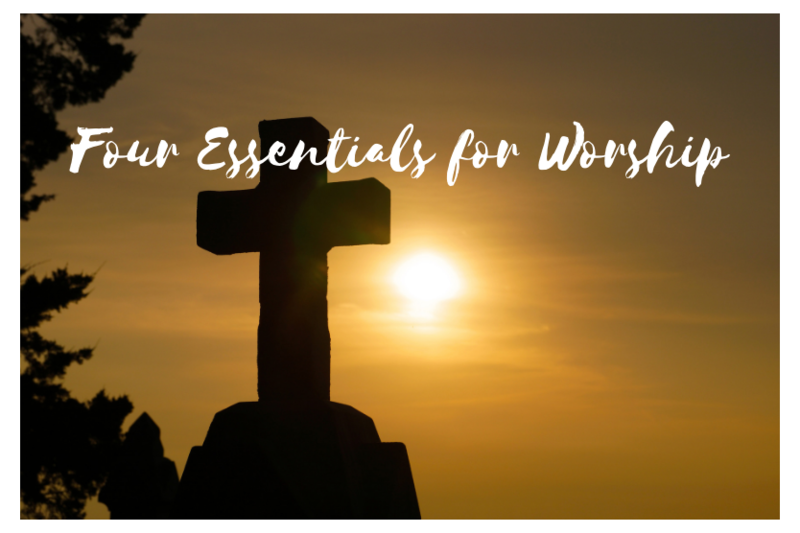 What are the essentials and non-negotiables that make worship meaningful and life changing? First, worship must be God-centered. Unless God is involved, whatever we are doing is not a worship experience. Psalm 100 is a great psalm about worship. The psalmist invites the nation to worship God. He tells the gentiles who God is: “Know that the Lord is God! It is he that made us, and we are his; we are his people, and the sheep of his pasture” (Psalm 100:3).Second, worship must be biblically-based. Scripture reveals God. We can’t be God-centered without being biblically based. Scripture shows us God and leads us to repentance and faith. These are the elements which bring us into God’s presence. The writer of Hebrews reminded us that it is impossible to please God without faith (Hebrews 11:6). Third, worship must be about life change. God sent His Son to transform us. Jesus and John the Baptist both preached about the hope that comes when we turn from our wicked ways. Worship should involve a serious look at how we are living and a serious call to let God change us. Fourth, worship must have a worldwide view. Psalm 100 is a psalm that calls the nations to join in worship for the One who made us. “The great invitation is given to the outlying people to enter His gates, to yield to Him, and share in His benefits. This is the true position and witness of God’s chosen people according to His purpose for them and through them, for others” (G. Campbell Morgan). What will we learn and do because we have entered His gates with thanksgiving and His courts with praise? I write a daily devotional much like this on a daily basis. If you would like to receive all of my devotionals, you can sign up for your free inscription at waylonbailey.com.